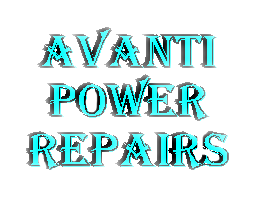 Avanti Power Repairs Ltd was established in 1996 to provide a high quality cost effective repair centre for Power Supplies as well as supplying new. Repairing instead of replacing is a viable way to cut costs. We offer a first class repair service based on a no fix no fee basis covering a vast range power supplies for every virtual need. At Avanti Power Repairs we work to the highest quality standards (ISO9001) in providing advice and services based solely on your requirements. We pride ourselves on being flexible in dealing with your needs and will provide you a service that is second to none. With a highly regarded head engineer boasting over 33 years of experience in the field coupled with high tech and up to date testing equipment, which means we can offer a full and comprehensive repairs and tests on every unit imaginable. We also have close contact between our office and our service department enables us to provide you updates on the progress of repairs if required. Avanti power Repairs have worked on many power supplies including products buy top power manufacturers such as; Motorola, Cisco, Lambda, Compaq, Weir, Astec, Powerone. The makes and brands of units we have worked on are two numerous to mention but no jobs are to big or small as and all units are considered we can work on all units that range from 10watts up to 30kw. We have a wide and diverse range of suppliers to source components even if parts have become obsolete we hold a large and varied stock we also have a number of overseas contacts to help us locate hard to find parts.